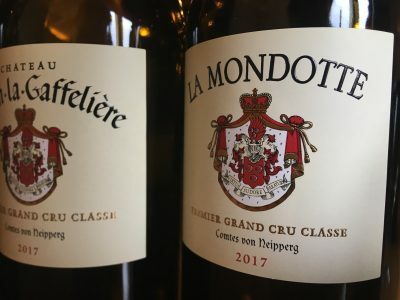 The 2017 vintage was a difficult one for Stephan von Neipperg and his team. 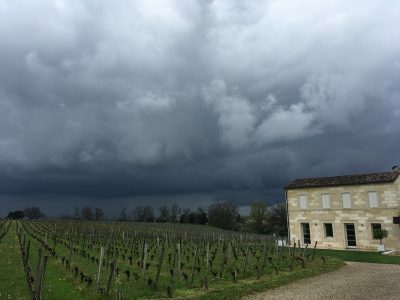 In the frost of April 27-28 they lost much of the crop at Clos Marsalette in Pessac-Léognan, half of the crop in both his Castillon estate Château d’Aiguihle and St Emilion property Clos de l’Oratoire. At Château Canon-la-Gaffelière frost reduced the harvest by 40%. Only the prized La Mondotte vineyard was spared. That’s the bad news. The good news is that team Neipperg have succeeded in making impressive wines, very much against these odds. This is partly thanks to the quality of the remaining crop, a huge amount of work in the vineyard but also a determination to encourage a useful harvest from second generation grapes. It is also says much about Stephan von Neipperg’s own strength of character. Determined not to be despondent, he encouraged his team in the face of adversity. When the going gets tough, as Billy Ocean famously noted, the tough get going. 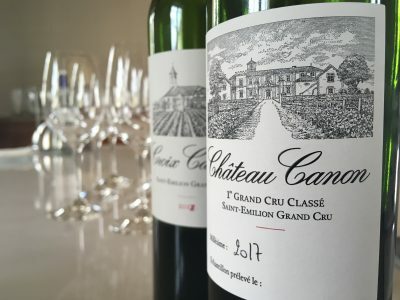 There is excitement about the quality of the 2017 vintage at Château Canon. 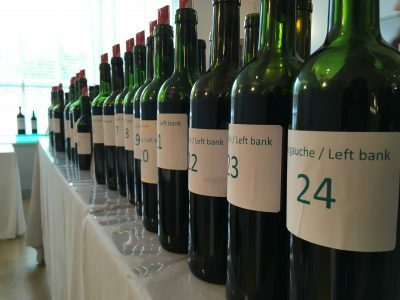 They reckon the vintage is a combination of the 2015 and the 2016 and a notch up from 2014. They argue this is partly the good fortune of Canon’s great terroir atop the St Emilion plateau next to the town itself. 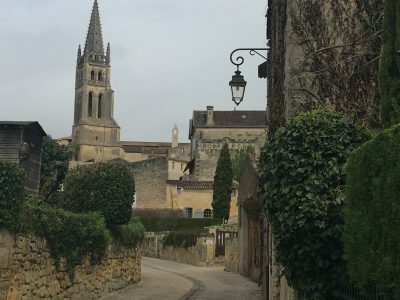 The estate was not affected by the frost and in a precocious harvest on a precocious terroir, much of the Merlot on the St Emilion plateau was picked before the September rain. Certainly there is a perfumed and mineral note to Canon this year with the emphasis on the purity of the fruit and elegance. The recently acquired Château Berliquet also shows floral tones and refinement in the first vintage here under Nicolas Audebert. I used to save the best to last. When I first started visiting the cellars of Jean-Luc Thunevin I’d turn up at the end of primeurs week. What a fool I was. Now it’s the first place I head to in St Emilion. It was interesting hearing Jean-Luc’s thoughts on the 2017 vintage. In places unaffected by frost, on the best terroirs he reckons it’s the equivalent to 2014 and even 2015 in places. Importantly Château Valandraud itself was not affected by the late April freeze. 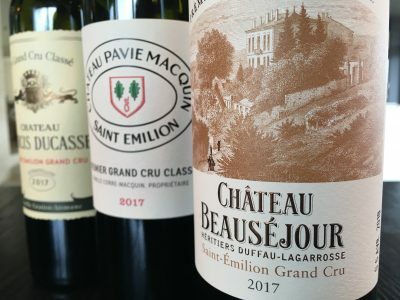 Other properties that Thunevin advises were, including some of his own properties such as Clos Badon in St Emilion and Le Clos du Beau Père in Pomerol. If volumes are down, in many cases quality is good to very good, judging from the wines tasted in Thunevin’s cellars. I love the energy that he manages to generate in his own wines and for Valandraud fans [read Jean-Luc fans] his 2017s do not disappoint.